Hi there! 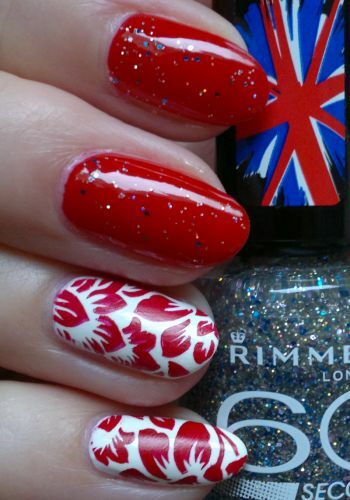 Today I’m showing you another mani I did a little while ago. 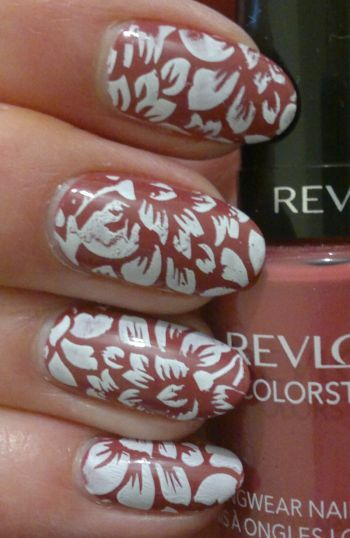 For this mani I painted my nails with Revlon Colorstay 310 Vintage Rose. I really like this polish. It’s almost a one-coater. And I love, love, love the wide and flat Revlon Colorstay brush. 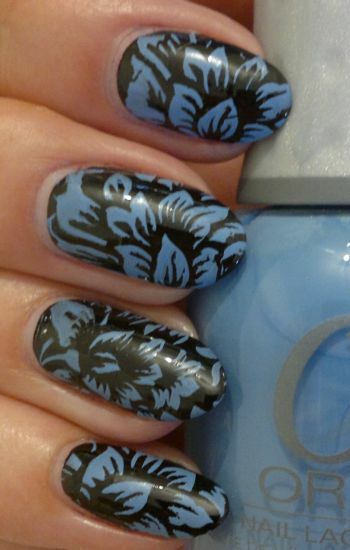 The floral image is from Pueen’s 93 stamping plate which is part of Pueen’s Buffet Leisure collection. 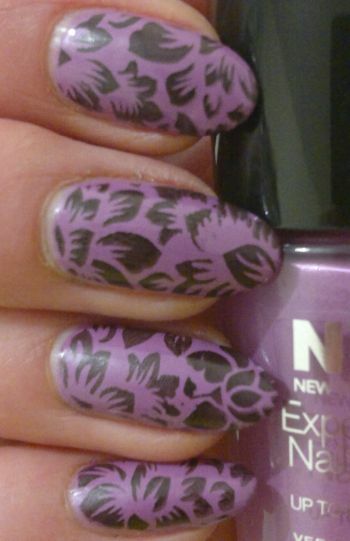 The white polish I used to stamp on the images is Essence’s white Stampy polish. 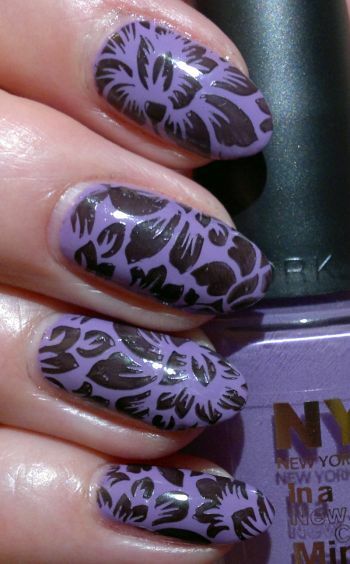 I think this mani turned out alright. 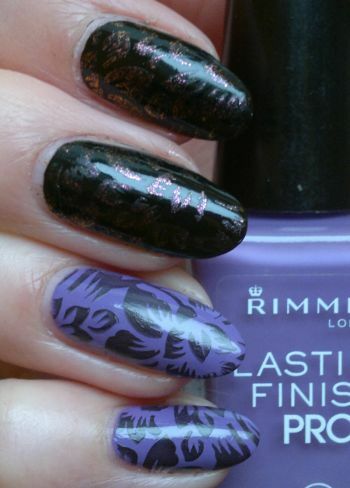 I somehow managed to ruin the image on the middle finger, but all in all I think the mani looks OK.